Katie is a lifelong resident of CT. She graduated from the CT Center for Massage Therapy in 2011 with a 4.0 GPA. Katies passion for massage therapy encouraged her to embark on a total lifestyle change, losing 160lbs, developing a love of fitness and truly embodying the health and wellness of her career. 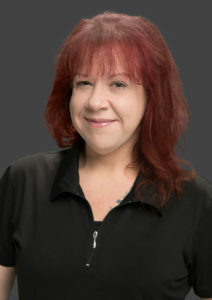 She is a strong, intuitive, compassionate and knowledgeable MT who truly loves to use her craft in helping people heal from physical pain and stress. She particularly loves deep tissue and sport massage. Katies massage style for a typical massage session is to give an amazing massage with feel good, firm pressure that becomes very therapeutic as she finds issues within the muscle tissue. Katie listens to her clients and designs each massage to offer the best results possible. If you would like to schedule an appointment with Katie, you may do so via email at [email protected], ONLINE, or by calling the office at (860) 410-4490.